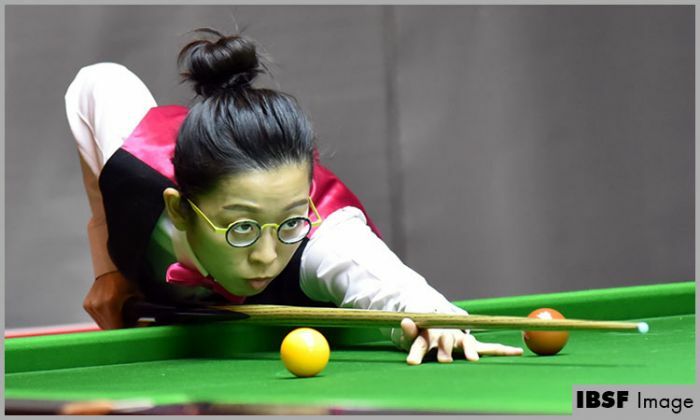 The defending champion Ng On Yee has reached the final of World Women 6Reds Championship 2018 defeating Thai player Nutcharat Wongharuthai 4-1. In the final On Yee will take on another Thai girl, the current world champion, Waratthanun Sukritthanes who defeated India’s Amee Kamani in another semi-final 4-2. On Yee set a lead of 2-1 crafting break of 44 in third frame and controlled that till the end by winning next two frames comfortably. On the other side, Waratthanun was down 2-1 but managed to in the fourth frame and took another one to lead 3-2. The last frame was crucial where Amee fought hard and could’ve won the frame but timely Waratthanun rescued and won that 39-31 to close the proceedings 4-2.